In October 2018, Pippa Norris was honored to become a fellow of the American Academy of Arts and Sciences. As one of the nation’s oldest learned societies and independent policy research centers, the Academy convenes leaders from the academic, business, and government sectors to address critical challenges facing our global society. Pippa Norris and Joni Lovenduski's book on Political Recruitment: Gender, Race and Class (Cambridge University Press, 1995) was awarded the 2018 George H. Hallett prize "for a book published at least ten years ago which has made a last contribution to the literature on representation and electoral systems". The prize was presented at the Representation and Electoral Systems business meeting at APSA's annual meeting in Boston on Friday 31st August 2018. Pippa Norris, a leading political scientist has been accorded a major international honour for her lifetime contributions to the discipline of political studies. Pippa Norris, Paul F. McGuire Lecturer in Comparative Politics at Harvard Kennedy School, ARC Laureate Fellow and Professor of Government and International Relations at the University of Sydney, and founder and director of the Electoral Integrity Project, was awarded the 2017 Sir Isaiah Berlin Prize by the Political Studies Association (PSA) at a recent ceremony in London. 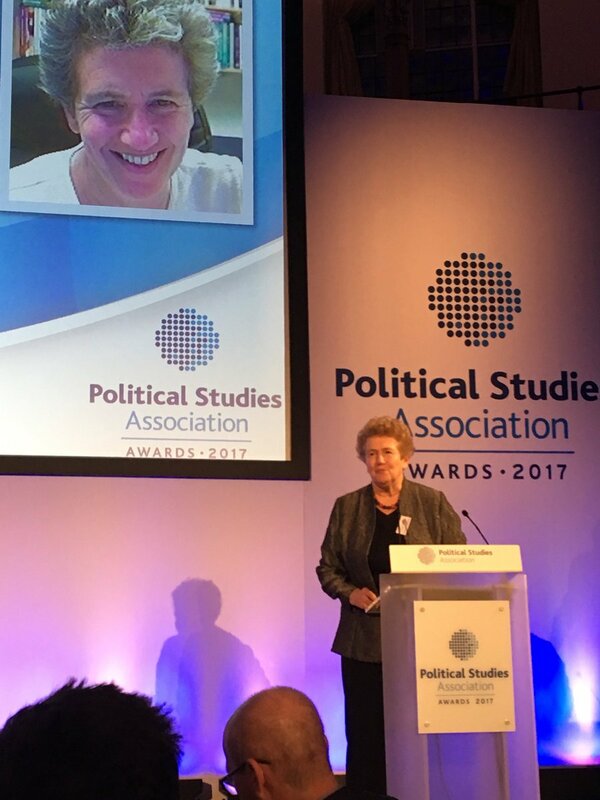 "Professor Norris has been awarded the Sir Isaiah Berlin Prize for the significant contribution she has made as a major political thinker and in helping to shape academic research on democracy, electoral integrity, and populism – all issues that are relevant now more than ever,” said the PSA Awards jury. Norris’s research compares public opinion and elections, political institutions and cultures, gender politics, and political communications in many countries worldwide. She is the fourth most cited political scientist worldwide, according to Google Scholar, and is the second most downloaded political scientist in the Social Science Research Network (SSRN). “Naturally I was delighted to learn that the PSA had honoured me with the Sir Isaiah Berlin award. The PSA has been seminal in my early career and it will always be an enduring part of my intellectual home,” said Norris. The Electoral Integrity Project, directed by Pippa Norris, was honored to receive the 2017 International Institutional Engagement award at the 15th International Electoral Affairs Symposium, held in the Dead Sea, Jordan on 4-6th December 2017. Dr Sarah Cameron received the award on behalf of the EIP team. The event was hosted by the Independent Election Commission of Jordan (IEC) and the International Centre for Parliamentary Studies (ICPS). The awards are designed to recognize the work of the international electoral community by honouring their significant contribution to the democratic process on an international level. 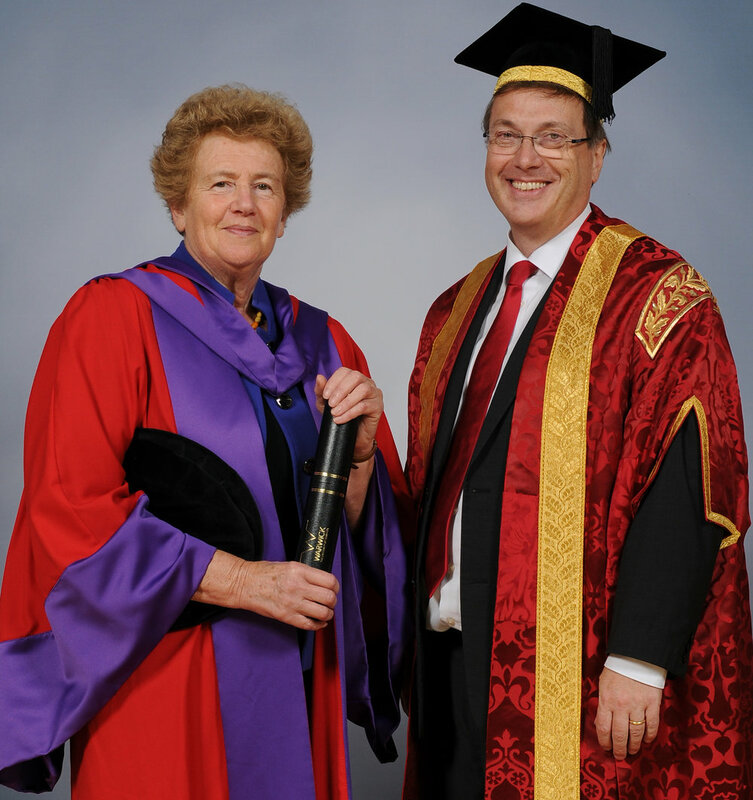 On 20 July 2017, Pippa Norris was honored to be awarded an Honorary Doctor of Law at the degree ceremony by the University of Warwick. She studied as an undergraduate for a BA (Joint Hons) in Politics and Philosophy in the Department of Politics and International Studies at Warwick University in 1972-74. 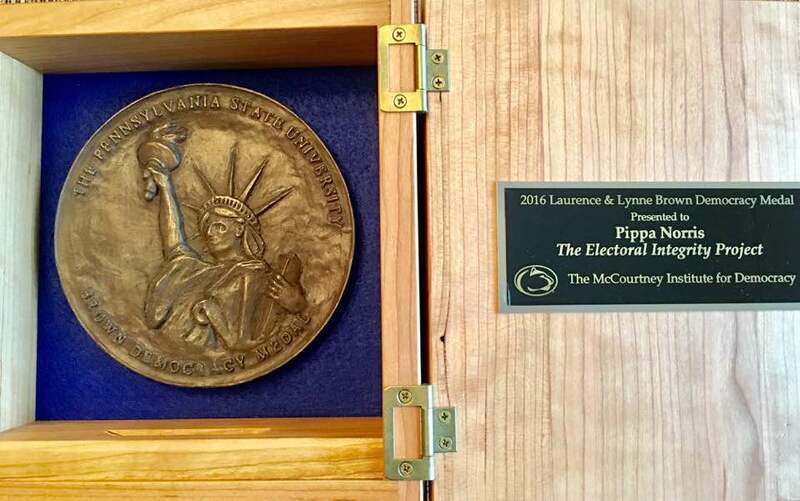 The Electoral Integrity Project was honored to receive the 2016 Brown Democracy Medal from McCourtney Institute for Democracy, Penn State University. The award recognizes an outstanding individual, organization or a group of individuals for exceptional innovation in the advancement of democracy in the United States or around the world. The Laurence and Lynne Brown Democracy Medal spotlights and honors the best work being done to advance democracy here and internationally. Pippa Norris accepted the award and gave a public lecture on Why American Elections are Flawed (and How to Fix Them). The essay was subsequently published by Cornell University Press. In July 2014, Pippa Norris was awarded the Karl Deutsch Award by the International Political Science Association (IPSA) at the World Congress in Montreal, Canada. Previous awardees include Gabriel Almond, Juan Linz, and Charles Tilly. The purpose of the Karl Deutsch Award is to honour a prominent scholar engaged in the cross-disciplinary research of which Karl Deutsch was a master. The recipient presents the Karl Deutsch lecture at the IPSA World Congress of Political Science. The Karl Deutsch Lectures are published in the International Political Science Review. The award is made on the recommendation of the IPSA Committee on Organization, Procedures and Awards (COPA). It is supported by the Karl Deutsch fund. The 2011 Johan Skytte Prize was awarded to Ronald Inglehart, University of Michigan, and Pippa Norris, Harvard University for contributing innovative ideas about the relevance and roots of political culture in a global context. The Johan Skytte Prize at Uppsala University is among the most prestigious prizes relating to the field of political science and carries an award of SEK 500,000. The 2011 Johan Skytte Prize in political science is awarded to two researchers who individually but far and foremost in close cooperation have systematically investigated and highlighted the importance of human values and value change for political behavior and societal life. Ronald Inglehart, professor in sociology at the University of Michigan and Pippa Norris, professor in political science at the John F. Kennedy School of Government at Harvard University, share the prize for “contributing innovative ideas about the relevance and roots of political culture in a global context, transcending previous mainstream approaches of research”. In three co-authored books and numerous articles they have, through sophisticated analyses and a globally-based material including a majority of the world´s population, shown that a crucial key to continuity and change in political participation, interest and why issues become prioritized is the values, beliefs and attitudes of the citizens themselves. In their joint work, the importance of religion in today's contemporary world has been in focus, as well as gender equality and the role of global media and information technology in affecting values to converge or become more polarized. The process of value formation and change is intimately related to structural factors such as the shift from industrial to post-industrial production, and furthermore rests on feelings of existential security which are affected by a spread in the equality of well-being. Characteristic of Norris and Inglehart´s research is that their analyses ties together their own as well as previously launched theories with a uniquely rich and subtle material, allowing for systematic empirical testing, development but also refutation. Their focus is consequently on the citizens, the people, and their indirect interplay with elites and political and societal institutions. Ronald Inglehart and Pippa Norris accepted the prize at a ceremony in Uppsala University, Sweden on 24 September 2011. Read more about the prize on the Johan Skytte Prize Committee website.